One in every four consumers uses social media to make purchasing decisions: how does that translate into traveler's booking journey? We’ve all done it… We’ve all stayed at a beautiful hotel, visited an amazing destination, or eaten delicious food at a first-class restaurant. We’ve also taken great pleasure in telling our friends and family about our experiences. That is to say, we have become influencers or trusted brand ambassadors. Conversely, we’ve also asked for, and received, recommendations from our friends and family, and acted upon these recommendations. In other words, we have been influenced by people we regard as trusted influencers. This, as we know, is word-of-mouth, however it is offline and unscalable. Every hospitality business seeks this positive feedback as it enables them to grow organically. Nowadays, word-of-mouth is digital via social media and scalable, giving hoteliers a huge opportunity to showcase their properties in an authentic way and reach hundreds of thousands of potential customers via their mobiles. InterContinental Hotels Group stated recently that “mobile will account for 40 percent of online travel sales by 2020”. According to McKinsey, one in every four consumers also uses social media to make purchasing decisions. What we’re seeing is the evolution of three key pillars. Firstly, consumer behavior related to the purchase journey. Secondly, the way consumers interact with hospitality businesses through mobiles and, thirdly, customer loyalty dynamics. Hoteliers must now sit up and take note, or ignore this at their peril. If we take the issue of loyalty, some hotels are under the illusion that loyalty starts when the customer checks in. This is no longer the case, given the changing dynamics of the three pillars mentioned above. By using digital influencers, hoteliers have the opportunity to build loyalty before guests even come to stay. You can do this because the images shared by influencers evoke emotion and desire, so at the point when the potential customer starts looking for a hotel, your property should be the first they go to. The key takeaway is simple. Hoteliers can begin building loyalty even when guests are planning their next trip and so can potentially negate the influence of the competition before the booking stage. So, what exactly is a travel influencer? Travel influencers are highly engaged, trusted individuals, who travel around the world showcasing their adventures and experiences via social media. This includes promoting the properties they stay in and where they eat. Their posts normally tag the property’s social media accounts (the most important for hotels now being Instagram), so their followers can easily find your hotel’s page, which would include direct links to your property’s website. Why is Instagram the most important platform for hoteliers? Instagram is the fastest-growing social media platform to date, with over 800 million active monthly users and it’s growing by 100 million new users every six months. Some 60 percent of online adults have an Instagram account. Around 32 percent of teenagers consider Instagram to be their most important social media network. These are our future customers. These statistics speak for themselves. However, there is one in particular that is most compelling, and stands above all others. That is, how many of those 800 million users use Instagram in their purchasing journeys. In March 2017, more than 120 million Instagram users visited a website, got directions, called, emailed, or sent a direct message to learn about a product or service. Leisure travel purchase decisions are based on emotion. Beautiful images evoke emotion and the human brain processes them 60,000 times faster than text. 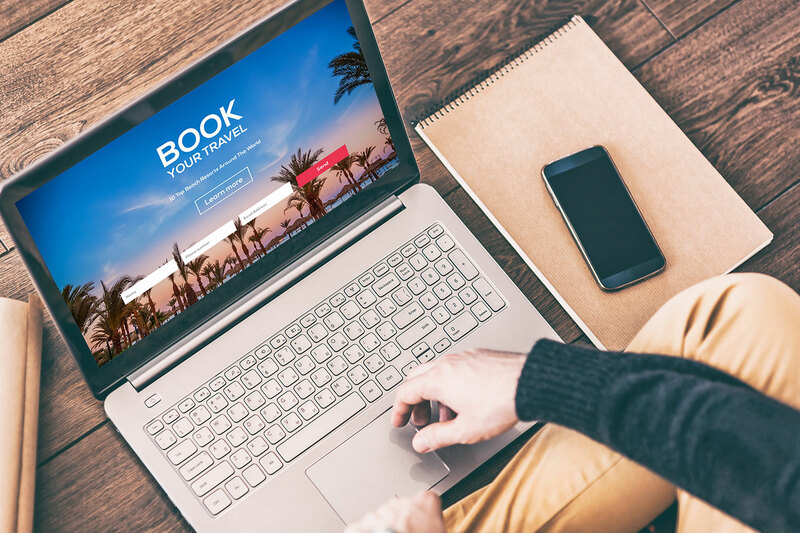 Consumers are looking to have everything at their fingertips and, as we all know, online travel agencies or OTAs have capitalized on this. Now a potential customer is just a few clicks away from making a booking via an app. It’s another room sold, but the OTAs take 15-20 percent in commission and that affects the hotel’s bottom line. The loss in revenue doesn’t stop there as it is very difficult for the reception team then to upsell and cross-sell, reducing potential revenue still further. Our clients tell us that a direct booking increases profitability by 18 percent on average, hence the need to by-pass the OTAs. That said, OTAs are here to stay. However that doesn’t mean hoteliers can’t use consumer behavior and technology to their own advantage. By building online relationships with potential customers through the use of influencers and then keeping those prospective customers engaged can pay dividends. We must stress though, it is enormously important to communicate regularly with your new followers to maintain loyalty and maximize return on investment (ROI). By doing this, hotels can enjoy the benefit of the long-tail effect. This means that as long as the prospective customer keeps following the hotel’s social media and online accounts, the hotel can market to them indefinitely for free. In terms of timescale, this is a marathon, not a sprint. So consistent engagement with the most relevant influencers in order to embrace the power of recall marketing is fundamental.